Dr Laura Purdy dives in to talking about what we as pet caregivers (and veterinarians) can learn from human hospice. Hospice care for people is an ever-changing field, with new ideas and concepts being introduced in order to provide an important and meaningful end-of-life experience. We can take some of those ideas and try to apply them to our pets. One of the biggest shifts we are seeing is a change in the relationships we are fostering at end of life. Previously there has been a focus on the doctor and hospital as primary decision makers. There is now a shift to centering the focus on the patient as well as his or her family and caregivers. Instead of the doctor-patient relationship being that of a teacher-student dynamic, there is a move towards thinking of it as partners or collaborators. As discussed, we can apply this concept to veterinary medicine as well. The first, is the veterinarian. The next partner or collaborator is the pet itself going through the end of life process. Although we cannot speak to them to ask them directly, we are able to take into account their likes and dislikes, as well as their preferences and favorite activities when making treatment decisions. The last collaborator is the pet family and caregiver(s). All 3 members of the conversation work together to establish goals and develop a plan unique to the individuals involved. Finally, we discuss four principles of hospice ethics in the human medical field that we can apply to our pets and families. Death is a meaningful experience. How a pet passes from this world matters, to both the pet itself and the people who love him or her. It is an important event that deserves to be treated with respect and dignity. Family centered care is appropriate. As mentioned above, we all want to focus on not just the disease, and not just the pet, but also the family. Together as a team it is important to appreciate those bonds and the love that is shared. Protect the integrity of the patient; honor what they find valuable and meaningful. We may not be able to ask our pets directly what matters to them or what they find important. However, we can make some really good guesses based on that shared history and their behavior. Trying to use those things that your pet enjoys in order to make decisions and choices is important. Address all aspects of suffering. One of the things that pet owners fear the most is that their pet will be suffering. It is a central concept in both human and veterinary medicine to address that fear as much as possible. In the video, I discuss briefly that there are multiple types of suffering. Pets can suffer not only physically, but also mentally and emotionally. Our quality of life scale can be a great tool for paying attention to suffering at end of life. 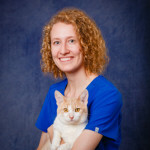 Dr. Laura Purdy is a graduate of the UW Veterinary School in Madison and has been practicing with Journeys Home Pet Euthanasia since 2015. She was honored in 2015 with the American Association of Feline Practitioners Award by UW School of Veterinary Medicine. She is an elite dog trainer. Dr. Purdy is a member of the American Veterinary Medical Association, Wisconsin Veterinary Medical Association, Dane County Veterinary Medical Association, the Pet Loss Professionals Alliance, Association for Pet Loss and Bereavement, and the International Association for Animal Hospice and Palliative Care. She may be reached by voice at 608-347-1897.